Are you looking to rightsize your home to upsize your lifestyle? Would it be helpful to have someone walk you through the process with a personalized action plan suited to your specific needs? We at the Stein Realty Group recognize the uniqueness of our 50+ clients. Beth and I understand the sometimes challenging and complex issues you will need to think about and we can help you make the best choice. Wouldn't it be nice if you could do it all with just one call? We have created this guide to help you get started. Just give us a call and we will take care of the rest! Let us help you make your best move! Maybe that yard is a pain to maintain when there are no little kids to run around in it, or maybe you crave the companionship of a community full of other older adults. Do you really need that many bedrooms when the only people living in the home are you and your spouse? Do you want to keep cleaning the pool when no one’s swimming in it? Many people choose to move into a smaller home because they want to live more eco-friendly, low-maintenance, simple lifestyles. Plus a smaller home is much easier to clean than a larger one. If you are thinking of moving, it often makes sense to do so sooner than later. Although moving is never easy, it’ll only feel more mentally and emotionally daunting the older you get, and the more you accumulate. Admittedly, even if your goal is to live a simpler life, you might need to buy a number of new items even if you’re decamping to a smaller abode. Giant furniture won’t work so well in a sleek city apartment, and squeezing a king-sized bed into a tiny bedroom isn’t exactly going to make your life feel clutter-free. There are lots of reasons why you might be looking to save money—paying down debt, job loss, saving up for another big expense, new family members to support, or simply the desire to have more cash. Whatever the reason, reassessing your home situation is a powerful way to shake up your budget. A big reason to cut back in your later years is retirement. Although this is supposed to be a time for kicking back and enjoying life, retirement can often come with many expenses of its own. Maybe you don’t have quite enough to float yourself for the rest of your retirement years. Or maybe you could use the cash to fund travel, or pay for medical costs, or help adult children start their lives. Selling your home and moving to a smaller place with less overhead is one way to ensure that you have the money you need. On the surface, trading in a house with a paid-off mortgage for a place that charges you rent and maintenance fees may sound like you’re guaranteed to increase your monthly costs. But even a paid-off home has many hidden expenses that add up, like property taxes, maintenance, utilities, and gardeners’ fees and so on. And because these costs tend to be less obvious, it can be hard to calculate your fixed expenses for budgeting purposes. When you rent an apartment or buy a condo, however, you can predict your fixed expenses better because you won’t be responsible for all the incidentals anymore. If you no longer have school-aged children, simply moving to a less-good school district could substantially reduce your property tax burden. One solid option is to trade an ongoing mortgage for a paid-off home by using the proceeds from the sale to buy a smaller home in cash. If that isn’t possible, consider a shorter-term mortgage, like a 15-year fixed rate one, and put down as much as you can (ideally 20%). From there, you can contribute all additional savings to your new monthly mortgage payment. Regardless of which option you prefer, you shouldn’t overlook additional savings beyond your mortgage rate. Find the best coverage for your homeowners insurance policy, and look into bundling existing policies for a discount (e.g., home and auto). After spending years in the suburbs, are you craving a more walkable downtown existence? Are you dreaming of cutting down your commute to the city every day? Is this your chance to finally spend your days in museums and your nights in jazz clubs? If you’re looking to stay in your current city but shift to a more urban setting, try looking at areas with detached homes, townhouses or condos, as these tend to be more common closer to the center of town. If downtown prices are a bit forbidding, try checking out more up-and-coming neighborhoods where housing prices are more affordable. As an added benefit, buying in a neighborhood that’s currently less prominent but starting to grow means that your investment in this new property has even more potential to appreciate. Maybe you’re looking to move into a bigger home because you finally have enough income and net worth to afford the home you’ve always wanted. The first question to ask yourself when considering a bigger or better home is whether you can afford it. In addition to the cost of the mortgage or cash payment, don’t forget to consider maintenance costs. A bigger home likely means more rooms and outside areas to keep up on an ongoing basis. How much will it cost you to tend to the pool and the more expansive water heating system? How much more will you pay for utilities every month? How much bigger will your tax bill be for this new home? If you’re not careful, your tax obligations could as much as double if you move to a larger home in a more expensive neighborhood. For the unprepared, that’s a big deal. And if you’re looking to buy a home that’s bigger than your current one, you might have to deal with issues around liquidity. If your current place is paid off and you have enough cash on hand to buy a new home now, congrats. But otherwise, you might need to sell your home before you buy a new one, in order to have enough cash for the transaction (unless you’re prepared to carry two mortgages at once). Think about the logistics of how you’ll actually go about buying this dream home before you take the plunge. 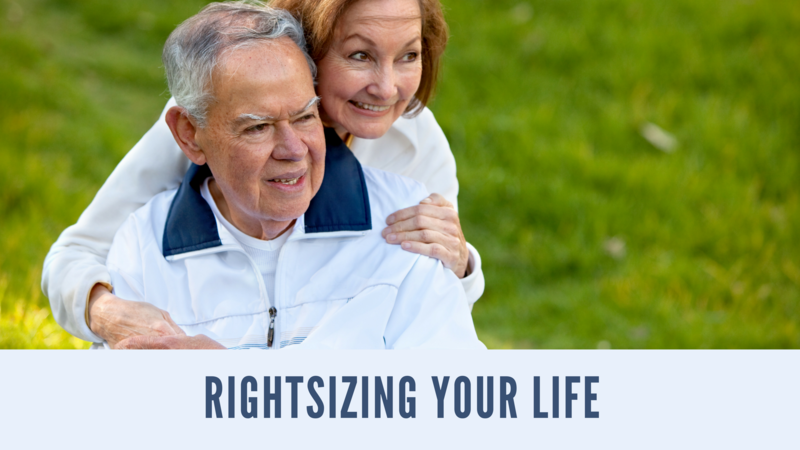 Another reason to “rightsize” your home is to accommodate changes in your family life. Maybe your adult children or aging parents are thinking about moving in, or you’re pondering purchasing a place for your children. This can be a great way to help your kids with their finances, minimize your tax liability and invest in the real estate market, but there are also some major pitfalls that you’ll want to avoid.